If you need to hire an asbestos ceiling tiles removal professional to come into your home to eliminate asbestos ceiling tiles from the building it’s important that you know how to screen that professional before trusting them with your health and the health of your family. That’s why today we are sharing some great tips to help you to better screen those contractors before you put them to work! 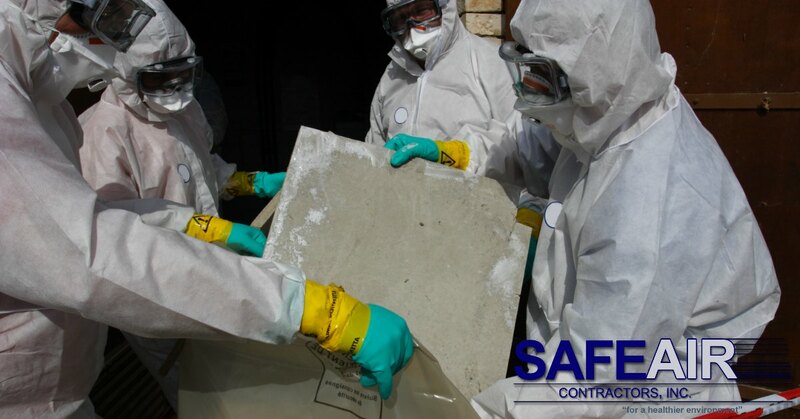 Here at SafeAir Contractors we only hire professional environmental remediation experts and we have worked in the state of Ohio for close to thirty years. 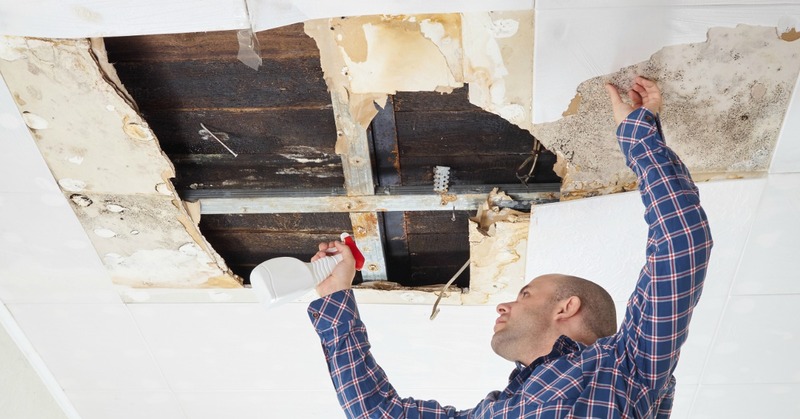 That means that we know a thing or two about proper asbestos ceiling tiles removal and hiring contractors who have the necessary knowledge to get the job done right. Here are a few questions that we suggest asking before committing to any contractor for the job. 1. Are you licensed by the State Department of Health as an asbestos contractor? Whichever state you live in, it’s important that you hire a company that is licensed by the State Department of Health when hiring a contractor for asbestos ceiling tiles removal. 2. What is the cost of your asbestos removal services and what is included in that cost? You need a very clear idea of what asbestos ceiling tiles removal is going to cost and what EXACTLY is included in that cost. Make sure that you know this before you have a contractor come in and begin work. 3. Are you familiar with the OSHA and EPA standards for handling asbestos? 4. Do you carry liability insurance? Liability insurance is a MUST HAVE for any reputable and reliable asbestos abatement company. If a company you are considering does not have liability insurance DO NOT hire them for the job! 5. Can you show me your proof of accreditation? Contractors involved in asbestos removal are required to carry proof of accreditation with them on the job and you can ask to see those cards of accreditation. If a contractor is reluctant to share their cards with you don’t be afraid to check their licensure with the department of health, this is usually something that can be done via your state government’s website. 6. Do you always have a supervisor on site when performing asbestos abatement projects like asbestos ceiling tiles removal? By law, a supervisor must always be on site when asbestos abatement projects are underway. It is the supervisor’s job to ensure that all safety protocols are being followed and that asbestos removal is being performed properly. If a supervisor is not on site for removal projects, avoid using this contractor and contact your state government’s website to report any violations. 7. How do you dispose of the tiles after asbestos ceiling tiles removal? A reputable asbestos abatement company will follow lawful procedure when it comes to the disposal of asbestos-containing ceiling tiles. Materials containing asbestos must be disposed of at an approved hazardous waste disposal location to prevent environmental contamination. A company that does not dispose of asbestos-contaminated materials properly is breaking the law and you should not trust them with your asbestos removal project. 8. Can you visit my home before giving me a quote for asbestos ceiling tiles removal? A contractor who visits your home to see the extent of the project that they are taking on will be able to give you a much more accurate quote for your project as opposed to a contractor who only gives estimates over the phone. 9. Can you provide me with a written quote for the job and what that quote entails? A written quote for your project is much more reliable than a spoken quote and should any disputes arise, you can provide proof of the quoted cost when you have a written quote. 10. How will you do the work and what do I need to know? Knowing how a contractor will complete your project will keep you in the know but it’s also important to know whether you will need to do anything particular while the job is taking place. Ready to Just Hire a Reputable Asbestos Ceiling Tiles removal Expert? If you are tired of the hassle of screening one company after another or just don’t have time to go out and find one, give us a call at 440-639-1191. Here at SafeAir Contractors, we have been providing environmental cleanup services for Ohio residents for over 28 years and if that doesn’t say trust we don’t know what does!